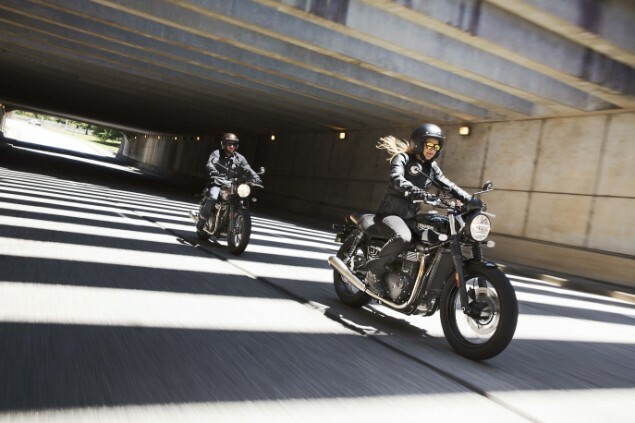 Triumph has given the Bonneville Street Twin – its best-selling modern classic model – a raft of changes for 2019 which includes a significant power boost, improved brakes, altered suspension and enhanced rider comfort. The updates to the Street Twin follow the launch of the bike in 2016 where it has been a consistently big seller for the British company and has attracted lot of customers who have chosen to customise the bike. 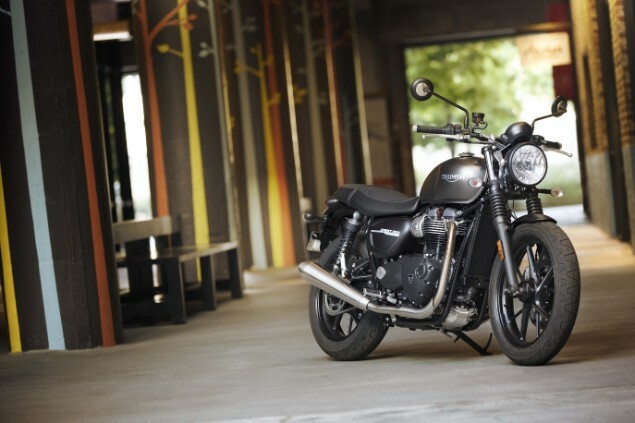 Triumph has increased the power of the parallel-twin, liquid-cooled 900cc engine by 18% to 65PS from 55PS and has definitely had to bear in mind this is a bike that has been popular with new riders for whom accessible and useable power is more important than a high peak power. The increase in engine power has been achieved with changes to the engine including a new magnesium cam cover, lightweight crankshaft, dead shafts and balance shafts and a lighter clutch. 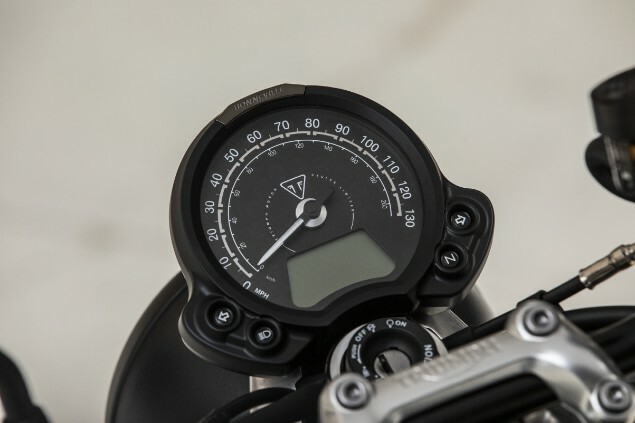 With this in mind, Triumph has added new Road and Rain riding modes, an option to fit a Tyre Pressure Monitoring System (TPMS), ABS with switchable traction control, an LED rear light along with a new Brembo four-piston front brake caliper. Suspension upgrades consist of new, higher grade internal components for the cartridge front forks for greater comfort. Comfort is also boosted by revised ergonomics and a more padded seat for both rider and pillion. Styling changes have been achieved thanks to a new design of cast aluminium multi-spoke wheels with a machined edge finish along with a new logo and revised instruments. In Europe only, an A2 power restriction kit will be available as a dealer fitted option. One astonishing fact Triumph has announced about the Street Twin is that 90% of Street Twin models sold to date have been fitted with some sort of official Triumph accessory. In light of this, and the fact manufacturers and dealers can make a lot of extra money selling accessories, Triumph has further added to the long list of parts available. For 2019 there are now almost 150 different accessories to choose from and this runs from everything from exhausts to suspension to luggage to fly screens and all sorts of styling choices too.